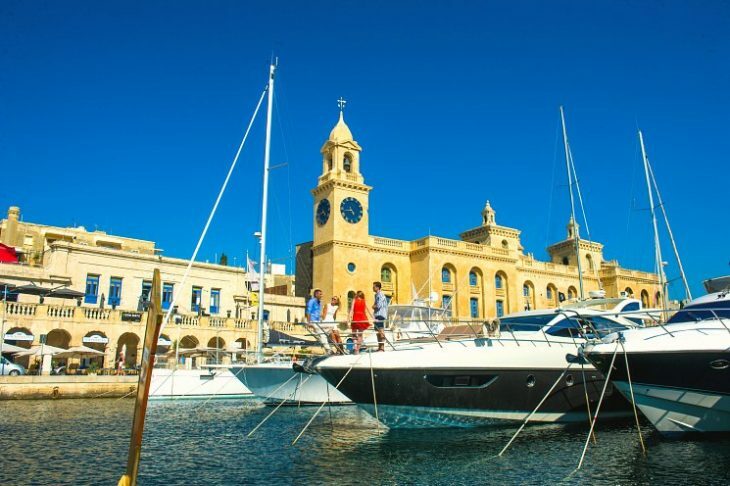 If you’re wondering how to fill up your time on a yacht charter around the Maltese Islands, here are seven tried-and-tested yacht charter tips for you to make the most of it. The indisputable fact that the Maltese archipelago has so much to offer applies even more when it comes to experiencing the islands from the sea perspective. The multitude of picturesque bays, historical waterfronts and other coastal gems around Malta, Gozo and Comino means you’ll never fall short of yet another beach, another port town where to drop anchor. This has to be our number one of yacht charter tips. 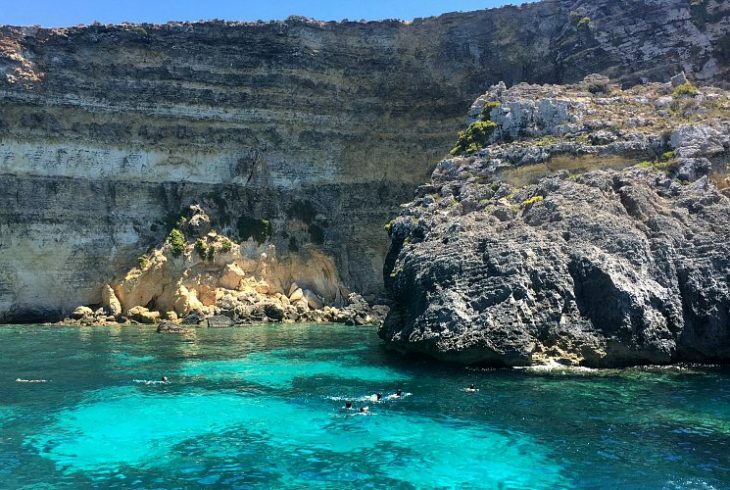 "It was great to discover Comino’s Crystal Bay, and the caves and azure windows around this island. Birgu was also wonderful to explore: the War Museum is fab. We also got a water taxi to Valletta – which is stunning." Your crewed charter invites you to sit back, relax and enjoy the five-star treatment and personalised attention by your on-board crew. 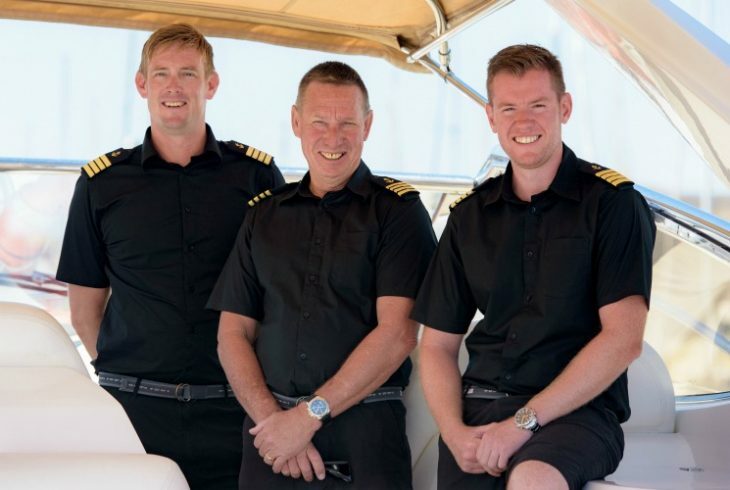 Azure Ultra’s team of captains and stewards is renowned for their signature superlative service. No request is too much trouble, and you’ll soon realise that you needn’t worry about a single thing while in their capable hands. Go "beyond ordinary" with Azure Ultra - now that's a valid addition to our yacht charter tips! 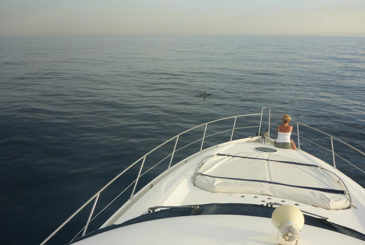 "Stewardess Peggy and Captain Roger were fantastic and really looked after us. They clearly love their jobs, and love entertaining […] Our crew went out of their way to exceed our expectations. The hospitality on board was superb." With food and snacks freshly prepared and served to you each day, you’ll know this holiday is all about letting yourself be pampered. 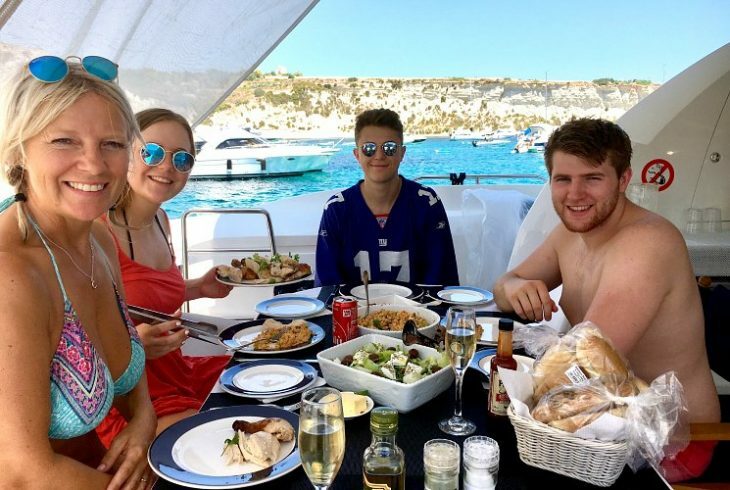 From amazing Mediterranean lunch spreads to barbecue evenings under the stars while anchored in a secluded bay, freshness and quality sourced ingredients are key to your on-board gastronomic pleasure. Top that with a refreshing glass of bubbly, and let the calm waters lull you into full relaxation mode. 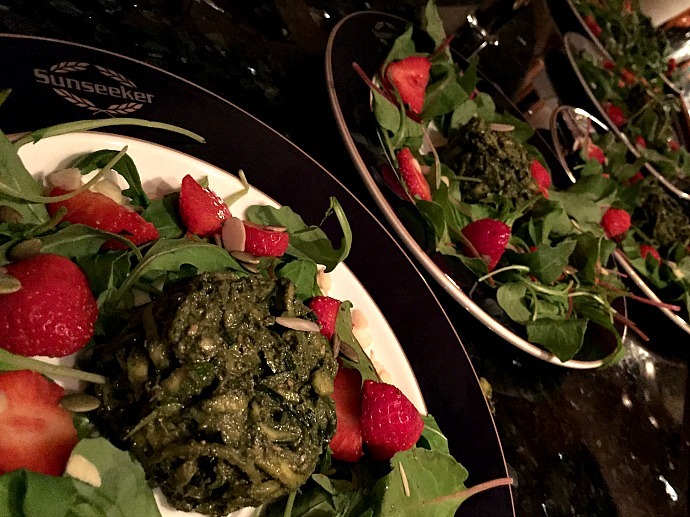 There are also some great dining opportunities awaiting ashore, with award-winning restaurants in Valletta and the Three Cities offering tantalising Mediterranean dishes. Only the most knowledgeable and experienced captains are seen to proudly sport the AV logo on their uniform. 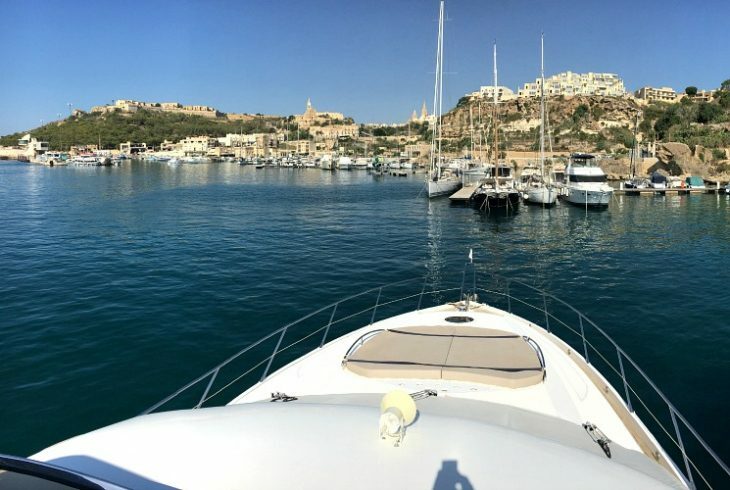 Leave it up to your personal skipper to guide you around the best sites as you trail the Maltese coast. Captains Dominic, Roger and Gary from the Azure Ultra crew certainly have a few spectacular scenic spots up their sleeve. If the idea of stopping to take an invigorating dip in a different secluded bay every day gets your imagination stirring, then leave the larger part of your cruising itinerary up to your captain – he won’t disappoint. 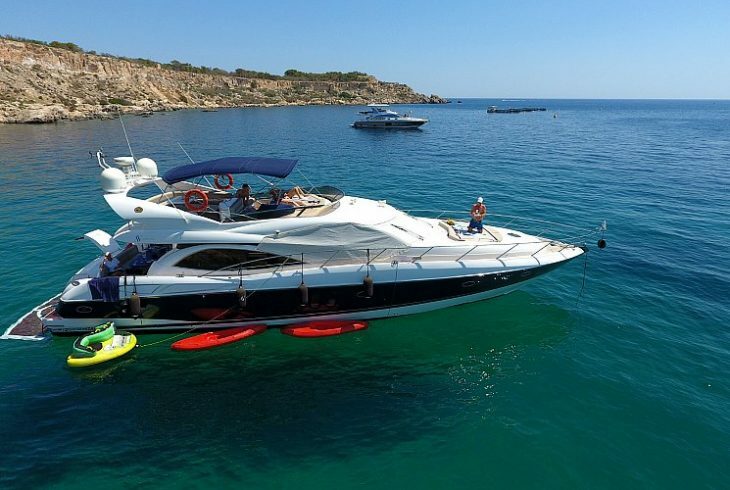 Azure Ultra yacht charter holidays promise endless hours of thrill-chasing with exhilarating water sports options. From water skiing to donut rides, snorkelling, kayaking and paddle boarding, these activities are designed to keep adrenaline junkies of all ages amused. If you’d rather embark on a less heart-pumping sea-bound adventure, your captain will happily whisk you off on a sightseeing trip on board the jet rib tender, allowing to take in a kaleidoscope of sublime surroundings as you ride the blue waves. "The children had the time of their life doing water sports, kayaking and tomb stoning near St Peter’s Pool. 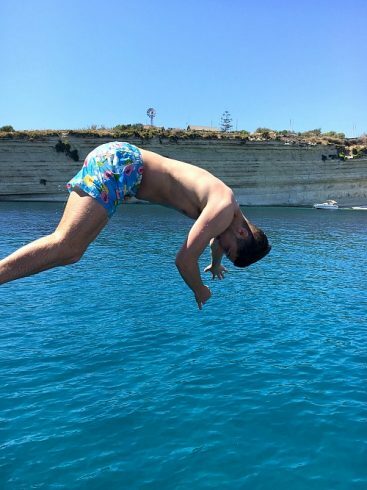 We loved Crystal Bay and St Nicholas’ Bay in Comino." Representing a brand that’s synonymous with luxury, Azure Ultra’s iconic Sunseeker yachts offer the perfect setting for a leisure holiday that scales up beyond ordinary. 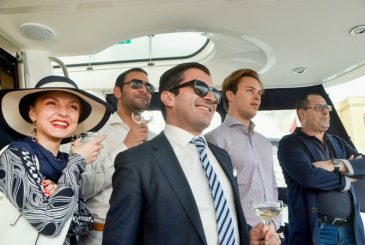 The fleet is elegantly appointed, containing all modern comforts, bar and dining facilities, and spacious lounging areas for entertaining and living it up in style – whichever way you wish to party. 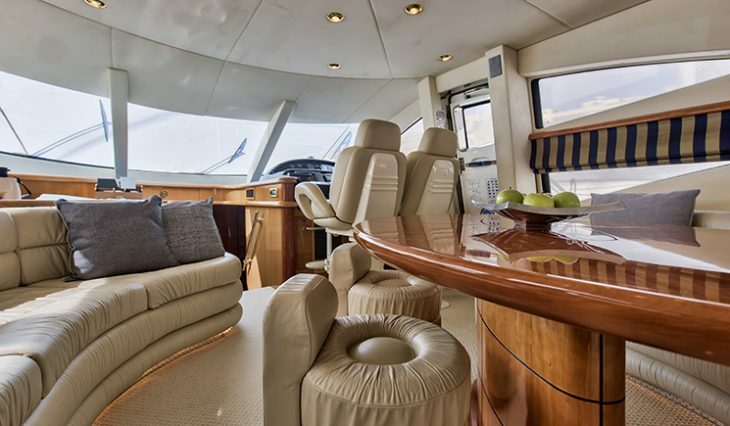 "Sunseeker Manhattan boat Mio Amore is immaculate, and the crew’s passion for keeping it that way is admirable." 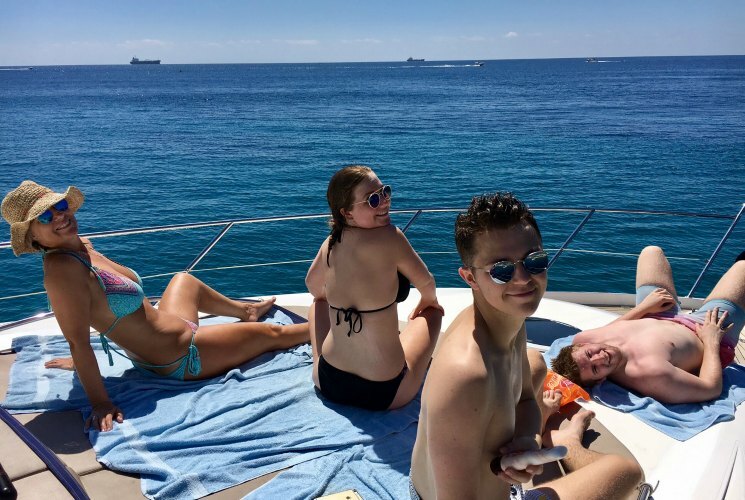 There’s no doubt that you’ll love every second of your luxury yacht charter, meaning that you’ll probably find that you simply can’t wait to relive the experience the following year. More breathtaking scenery to take in, fantastic food to savour, and great memories waiting to be made. What else could one wish for? Design a Mediterranean yacht charter around your preferences. Get in touch with one of Azure Ultra's charter specialists to holiday in your own unique way.